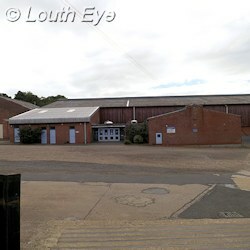 East Lindsey District Council is in the process of considering whether to sell the cattle market to a supermarket, a suggestion that some have already expressed concerns about. With that in mind, I wanted to discover how local people feel about the impact of another supermarket. The public meeting in July 2013 brought out a lot of people who oppose the idea of a large supermarket, but I wanted to know whether that was representative of local opinion as a whole, or if there was a silent majority who take a contrary view. Does Louth need another big supermarket? This is the question I put to 100 people who passed through the town centre on two market days, Saturday 8th and Wednesday 12th of February (normally I would do it all on one day, but it's very hard to poll people in bad weather). 72% of people said no, against 15% who said yes. 8% of people said they didn't know, and only 4% gave "maybe" as their reply. 97% of the people I asked were Lincolnshire residents, although not all were from Louth. The town attracts a lot of shoppers from outside Louth, particularly from the surrounding villages and towns like Grimsby. When I do these polls it consistently amazes me just how many people visit Louth for the sake of its unique shopping experience. I was expecting more of an even split in opinions, so these results surprised me, in a pleasant way. There is a perception that younger people are more likely to want another supermarket, and more than one person told me something along those lines during this poll. However, I spoke to people from a range of age groups, and I didn't notice any significant difference in the views of each group. What did come across was that a considerable number of people wanted to preserve Louth's unique character, and they felt that a supermarket threatened to rip the heart out of the town. This is the message that Keep Louth Special have been putting across for years. What this poll suggests is that KLS aren't merely a pressure group that expresses minority views, but in fact they are representative of the views of the majority of local shoppers. "This poll backs up what we've long maintained, that most people in Louth don't want yet another new supermarket. Given the imminent arrival of an Aldi on the Malt Kiln site, a second Co-op convenience store and the rise of Internet supermarket ordering, no-one in Louth can really claim that they don't have access to the full range of food shopping options."